s her countless satisfied clients will attest, Jane Sager has made exceptional service an art form. As one of the South Bay area’s leading real estate professionals for more than 20 years, she has built her reputation on providing expert guidance with a distinctly personalized touch. Jane builds lasting relationships with her clients, and provides keen market insight and creative solutions throughout the process. 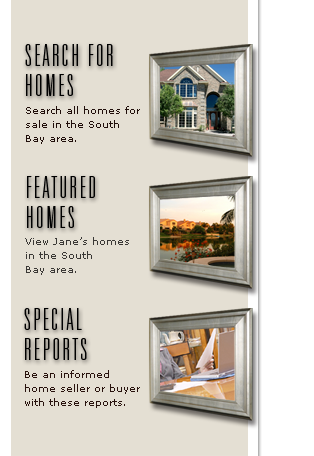 Quite simply, for Jane Sager, Success is an Art Form, so call her today and make the most of your opportunities in the South Bay area.